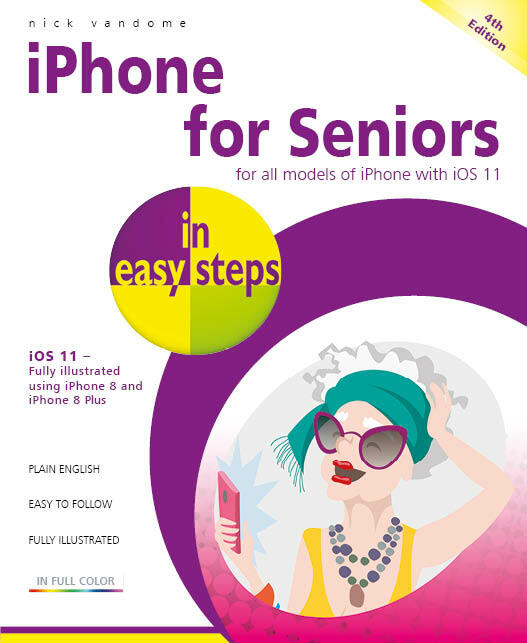 In full colour and straightforward, jargon-free language, iPhone for Seniors in easy steps, 4th edition, gives you all the information you need to get up and running with your new iPhone and quickly feel you are in control of it. 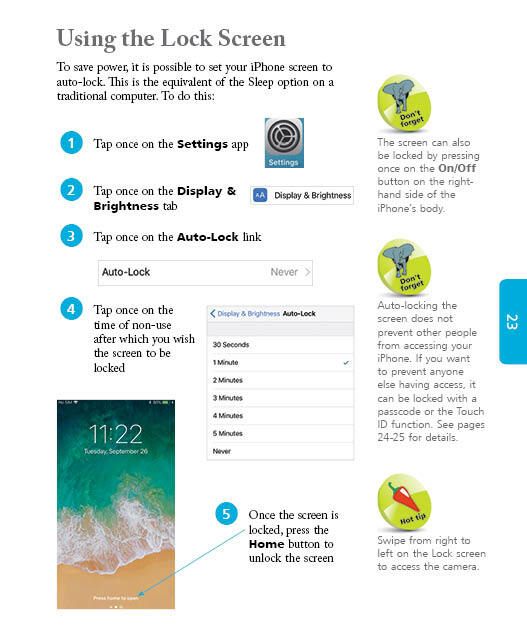 Explore the entire iTunes Music library, share music, videos, apps, calendars and photos with family members – stay in the loop with children and grandchildren! 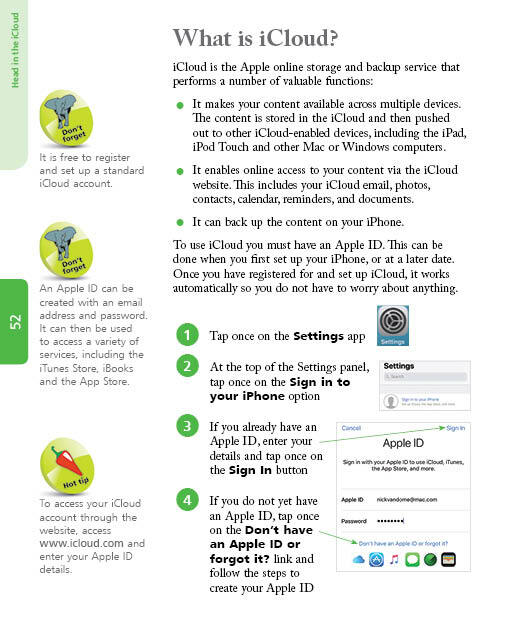 An in-depth chapter on iCloud, Apple's online storage, sharing and backup service, explains how iCloud works and shows how it can automatically store your data and share your photos so you don't have to worry about losing information should anything happen to your iPhone. 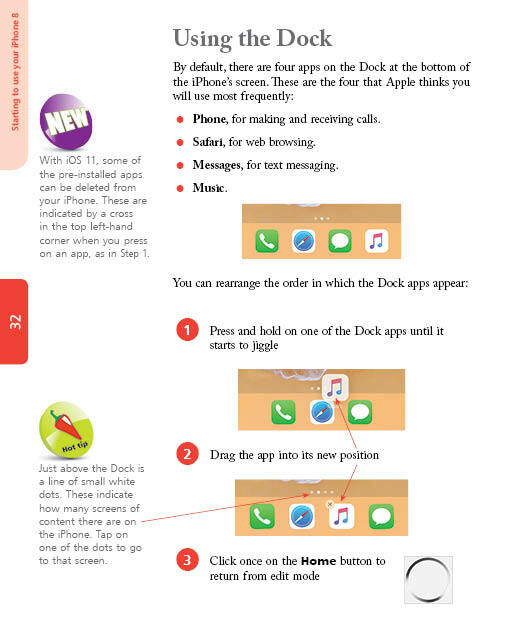 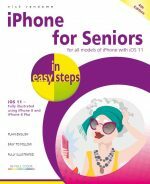 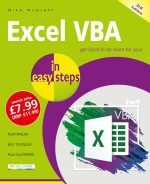 iPhone for Seniors in easy steps, 4th edition takes the mystery out of using your iPhone and shows how it can become your most useful digital companion, ready to help keep you in touch, up-to-date and entertained.